The Growing Kitchen offers a wide collection of marijuana-infused products, including edibles, concentrates and natural medicines made from our own Colorado cannabis. Best-selling products include brownies, cookies, chill pills, bliss balls, wax, shatter, infused flower, tinctures, sprays, salves, pain pills, and sleep aids. Award-winning cannabis-infused edibles, concentrates, and natural medicines. For those times when you just need a chill pill. These all-natural vegan hard candies are delicious and feel great. Our Sublime Spearmint variety combines the stimulating effects of our own in-house sativa strains, combined with the gentle decongesting abilities of fresh mint. Also great for treating anxiety, pain, and upset stomach. Our all-natural confections now have more CBD with a micro dose of THC to please and satisfy those looking for more CBD than THC. These sweet little hard confections combine CBD's phenomenally relaxing non-psychoactive properties with THC's more cerebral effects. They are infused with our own farm-grown cannabis high in CBD, a naturally occurring compound in cannabis renowned for its ability to relieve pain. We love it for use with pain management, inflammation, or insomnia. This chocolate-chip cookie is so delicious, you won't be able to resist eating the whole thing. And with 10 cookie bites, each containing 10 mg active THC, you will feel just fine if you do. The Rookie Cookie's pleasing effects are equally enjoyable for those new to cannabis edibles as for experienced users. It is also helpful for pain management and discomfort. This award-winning brownie lives up to its title. Chewy and chocolately, you'll appreciate its taste as much as its effects. And with indica, sativa, and hybrid options, it's easy to find a good time to enjoy one. This fantastic little treat promotes mood enhancement, pain management, and restful sleep. Our Power Flower Wax is made by extracting whole flowers of our very own single-origin cannabis into crumbly wax. We use full flowers to produce the cleanest, clearest concentrates on the market. Wax varieties differ by strain and include indica, sativa, and hybrid varieties. Available in grams and half grams. 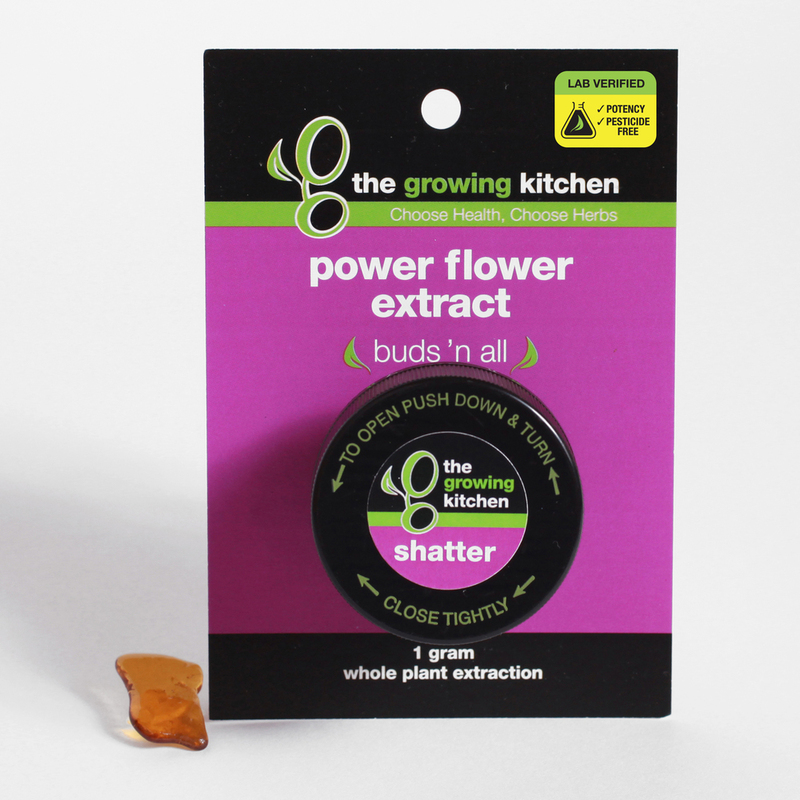 Our Power Flower Shatter is made by extracting whole flowers of our very own single-origin cannabis to make a glasslike shatter. We use full flowers to produce the cleanest, clearest concentrates on the market. Shatter varieties differ by strain and include indica, sativa, and hybrid varieties. Available in grams and half grams. Our delightful tincture spray that is easy and discreet. You'll find it as refreshing as it is effective. Now featuring honey harvested from our very own bees, hand-raised on our 25-acre Boulder farm. The Marymint Tincture Spray is the most potent medicine in our collection, and is extremely helpful in quickly alleviating nausea, irritability, extreme pain, and insomnia. Enjoy a cannabis-free topical that will soothe all season long.